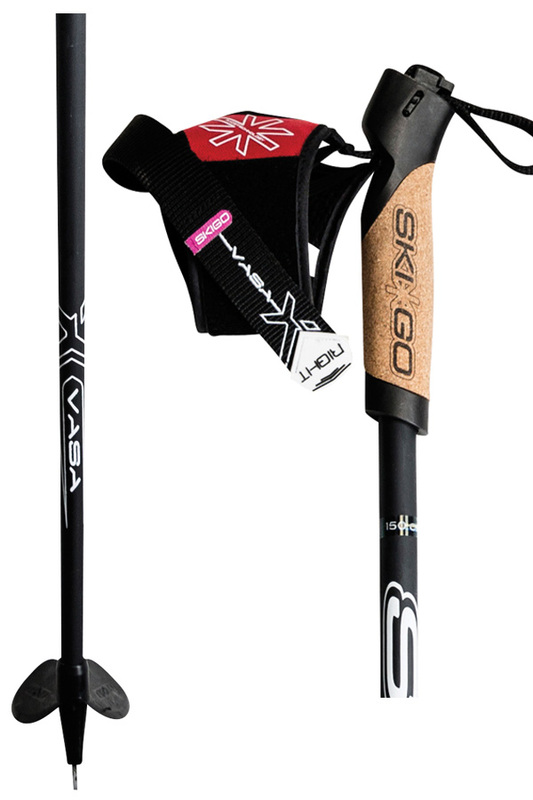 Designed for the active skier and fitness skaters. This pole is 50% carbonfibre and 50% fiberglass. It comes with the cork handle and race strap. The basket is designed to help release snow after a solid plant. It is a very durable and still pole.